Say Hello To Hijabi Barbie! Barbie’s world is becoming more inclusive and we’re loving it! We’re finally done with the days where girls would grow up playing the blue-eyed, blonde Barbie with an unrealistic body size. 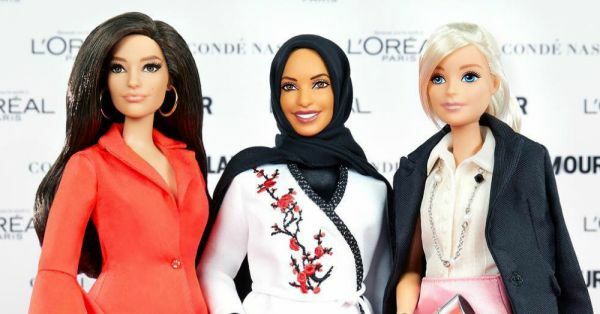 Mattel has launched its first ever hijabi Barbie, which is the latest addition to manufacturer’s “Sheros” collection. It’s inspired by American-Muslim Olympic Fencer, Ibtihaj Muhammad, who made history by becoming the first American athlete to compete in the Olympics wearing a hijab. Launched at Glamour’s Women of the Year 2017 summit, this Barbie has been styled by the athlete herself as she’s been working closely with the design team at Mattel. The doll is dressed in an all-white fencing outfit and a black hijab. The best part? The built of the doll is athletic. The doll will be available for purchase in 2018. While many have criticized Mattel’s past figurines for their unattainable body type, this is a step in the right direction. But with all the damage that has been done in the past, there’s still a lot of work to be done. A great example of that would be the artists who create beautiful toys such as the Vitiligo dolls.